The martial arts icon joins us for a rare double feature of two of his greatest films! Don “The Dragon” Wilson is an 11 time World Kickboxing Champion, official Karate Hall of Fame inductee and an international martial arts movie star. But now the galaxy’s greatest fighter has finally met his ultimate match: New Beverly special guest! Yes, the action star who ruled home video throughout the ’90s is joining us IN PERSON* August 2 for a one-night-only big screen celebration of the first two movies in the NINE film (and counting) Roger Corman-produced franchise that rocketed him to superstardom: Bloodfist & Bloodfist II. 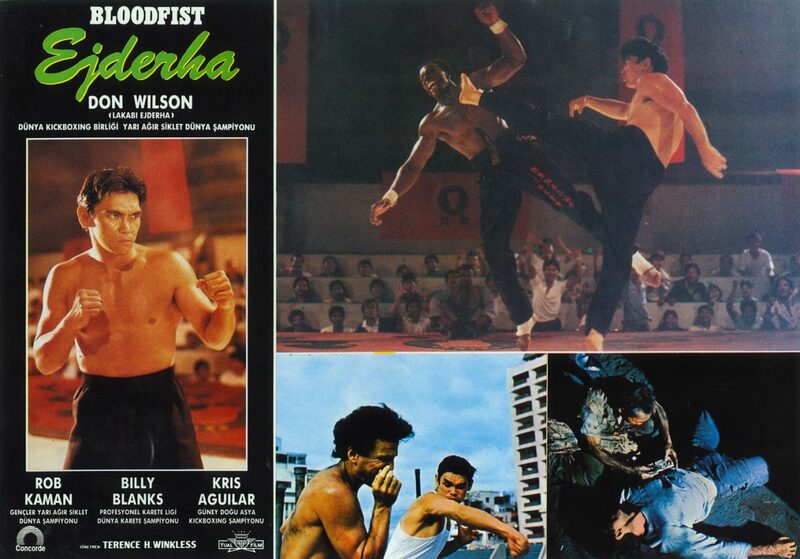 Wilson’s skills are put to the test in a no-holds-barred, hand-to-hand, full contact karate showdown in Bloodfist. When his brother is savagely murdered, The Dragon must travel to the Philippines to unravel the mystery and find the killer while dodging danger and battling bare-fisted in and out of the ring. In the even more action-packed followup, Bloodfist II, The Dragon is summoned back to the Philippines by his best friend, betrayed and taken to an island fortress to fight in a brutal battle to the death. 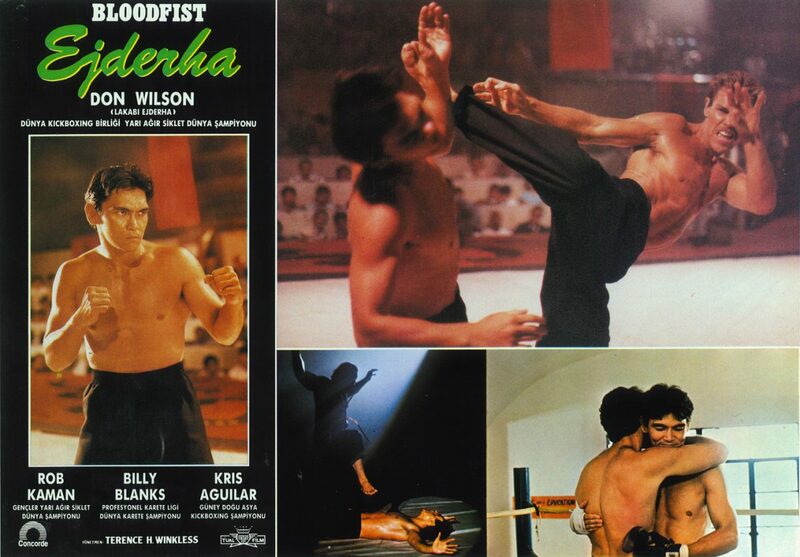 Author and film fanatic David J. Moore sent over his collection of incredibly rare Turkish lobby cards for Bloodfist so we could share them with fellow fans. 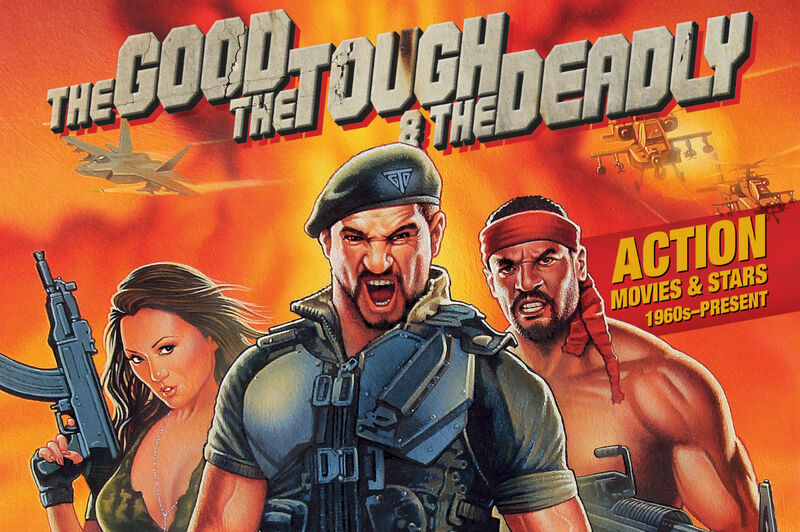 David’s newest book, The Good, the Tough & the Deadly, is an epic must-read and the absolute last word on action star cinema. It’s 5lbs & 500+ pages of rough ‘n tumble insanity including massive, career-spanning interviews and more than a thousand in-depth reviews. HIGHLY RECOMMENDED.